The Baetis hatch in S.E. 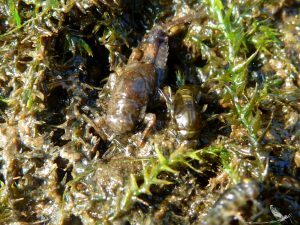 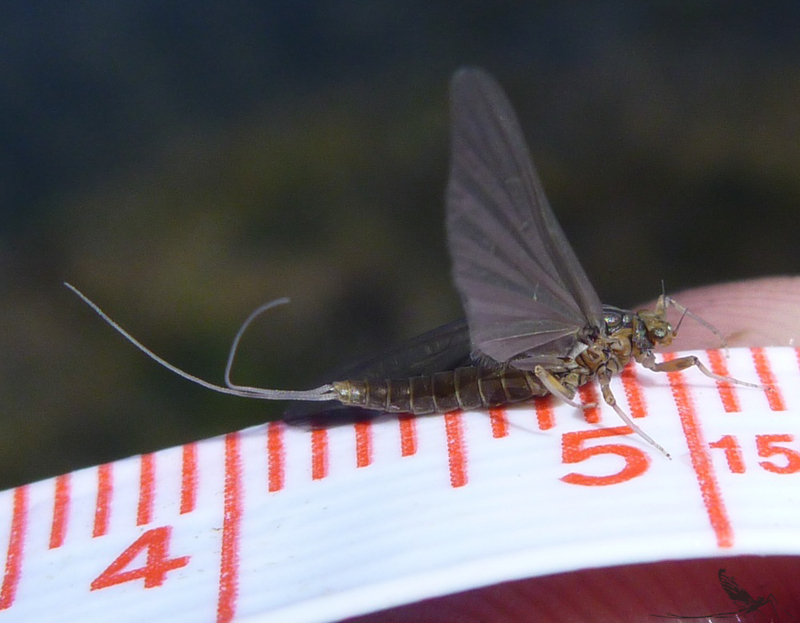 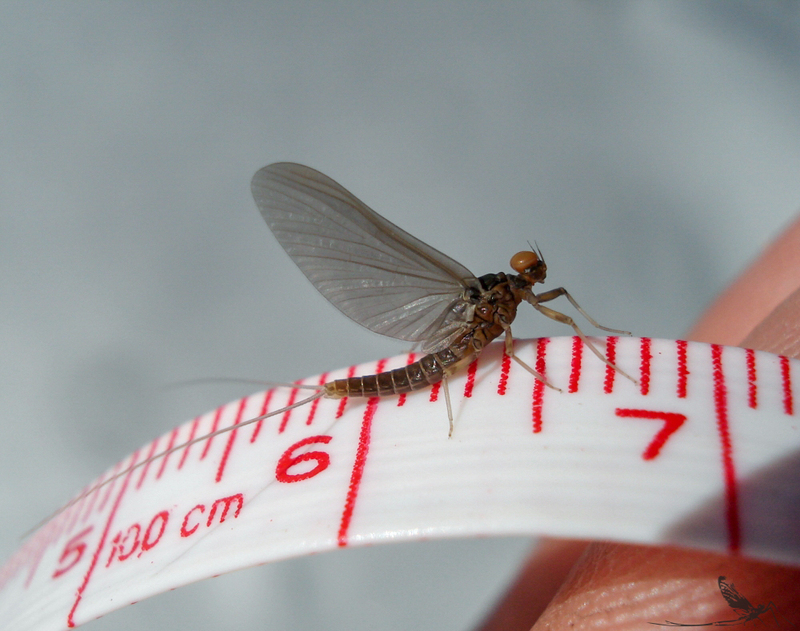 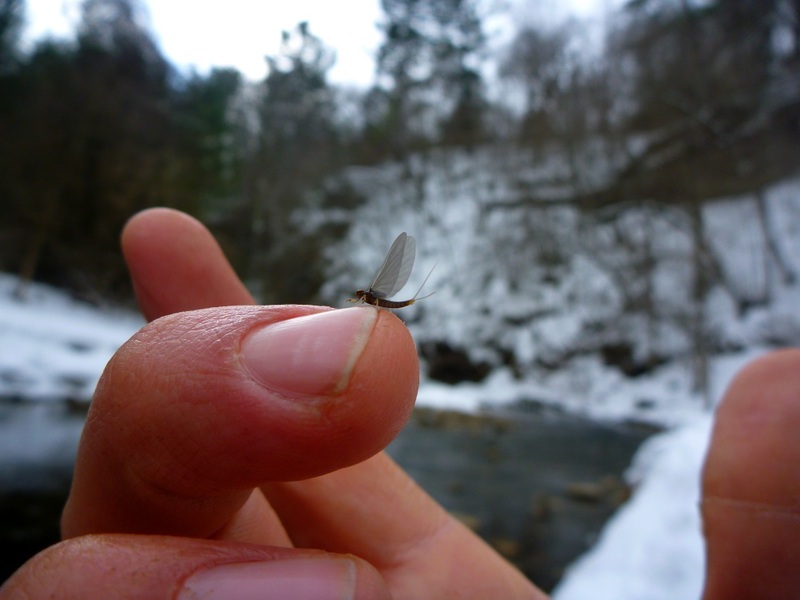 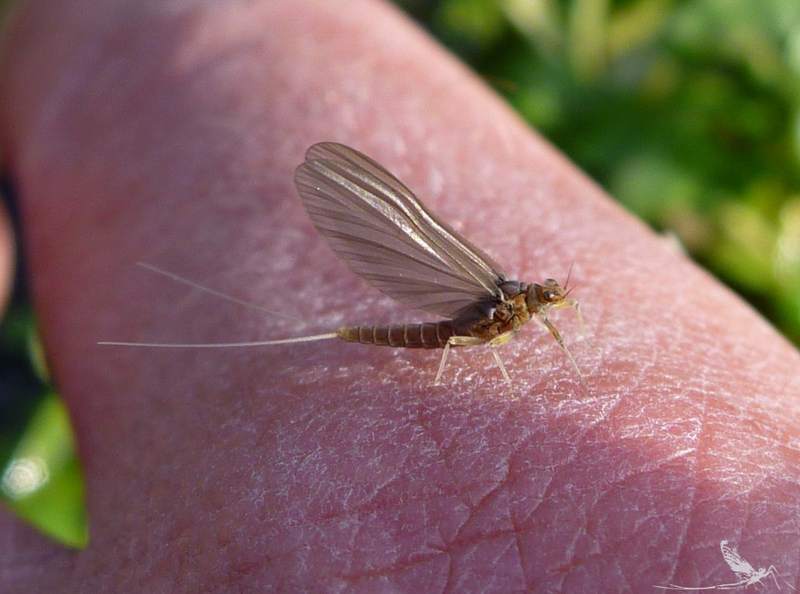 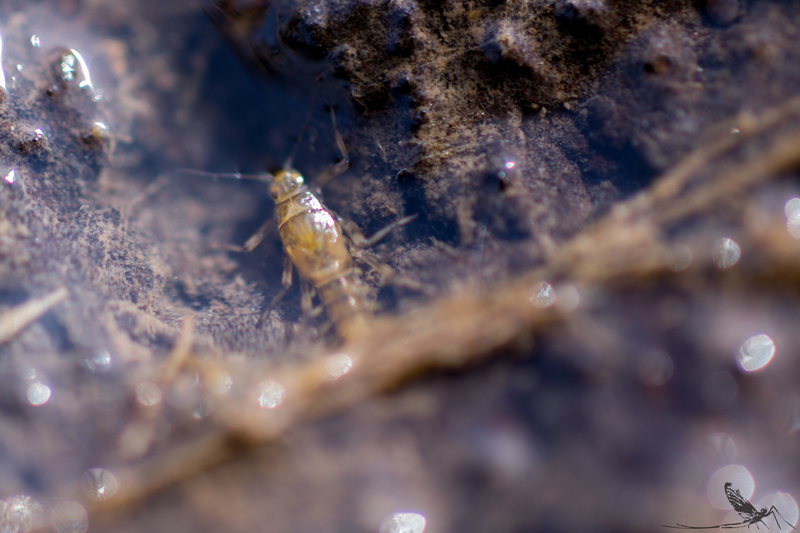 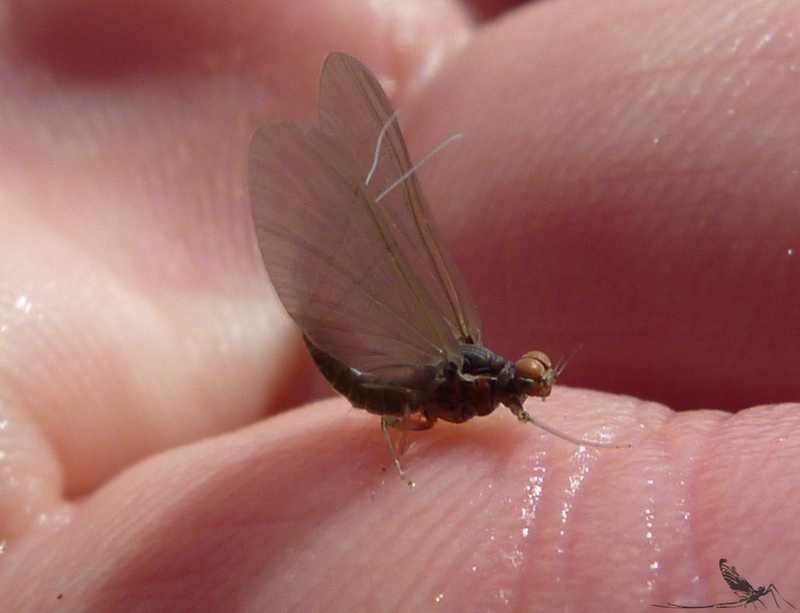 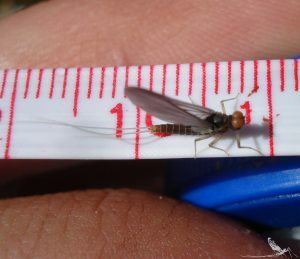 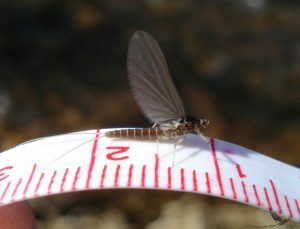 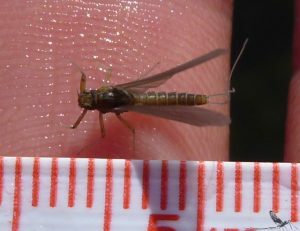 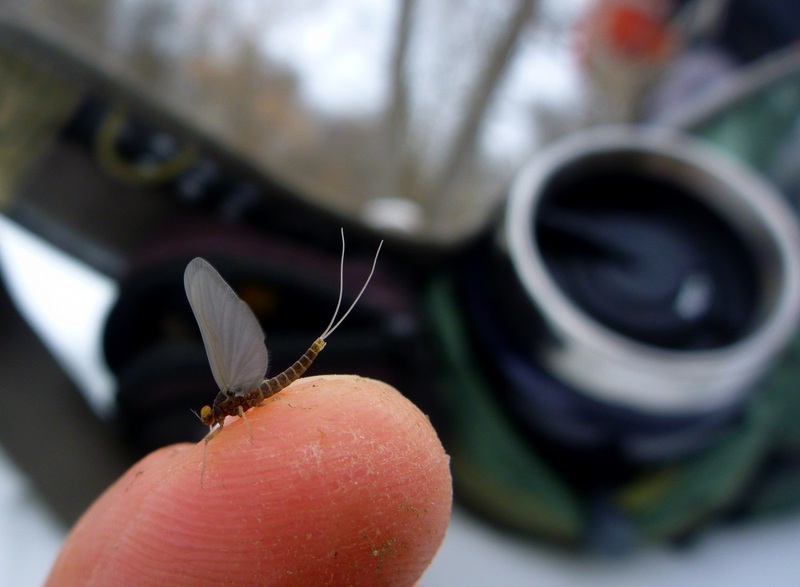 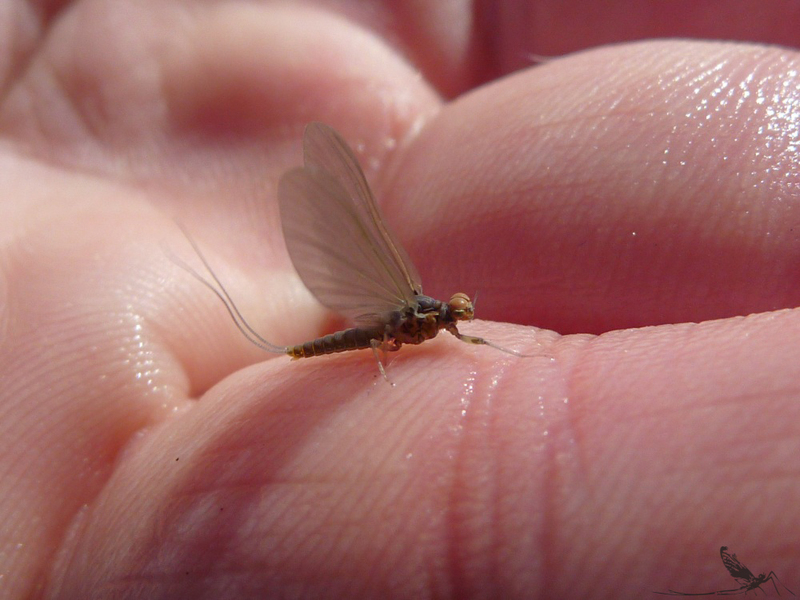 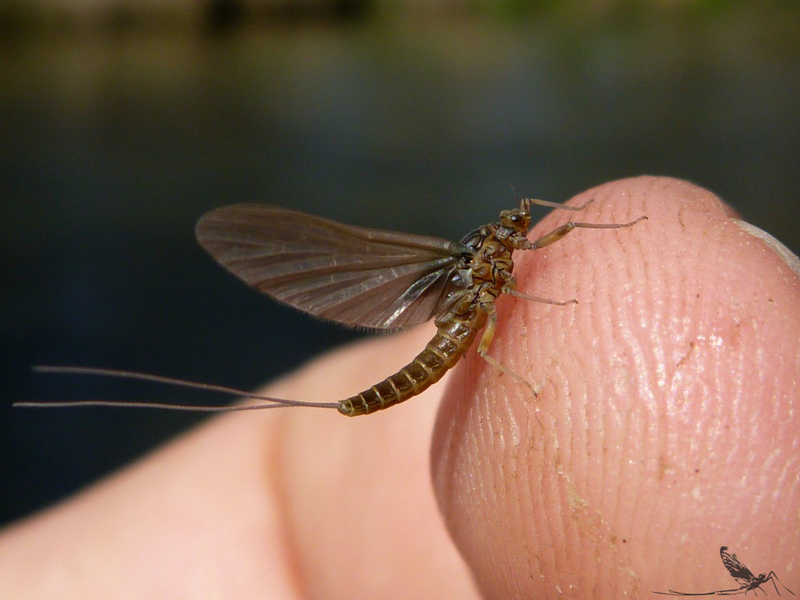 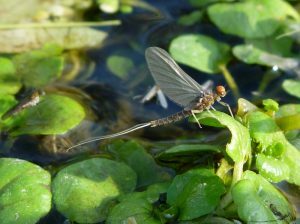 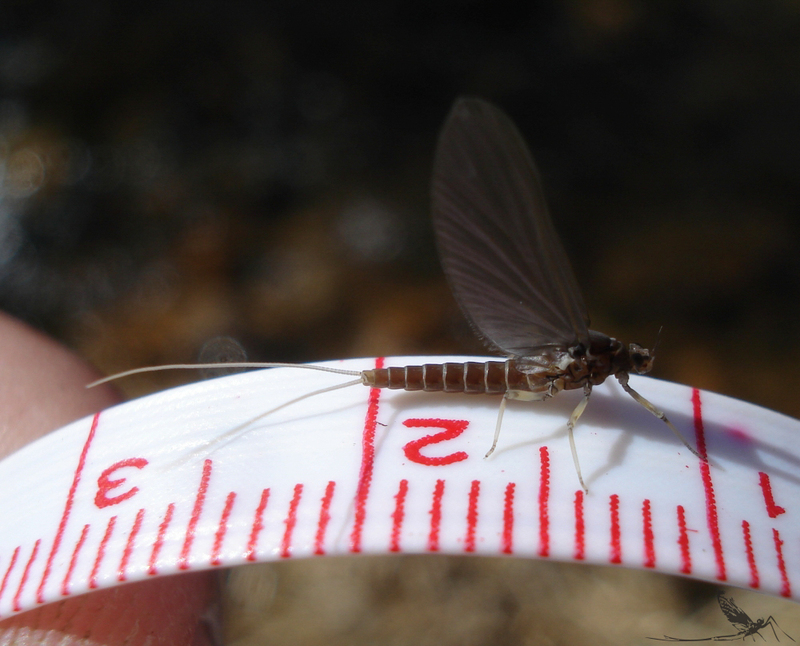 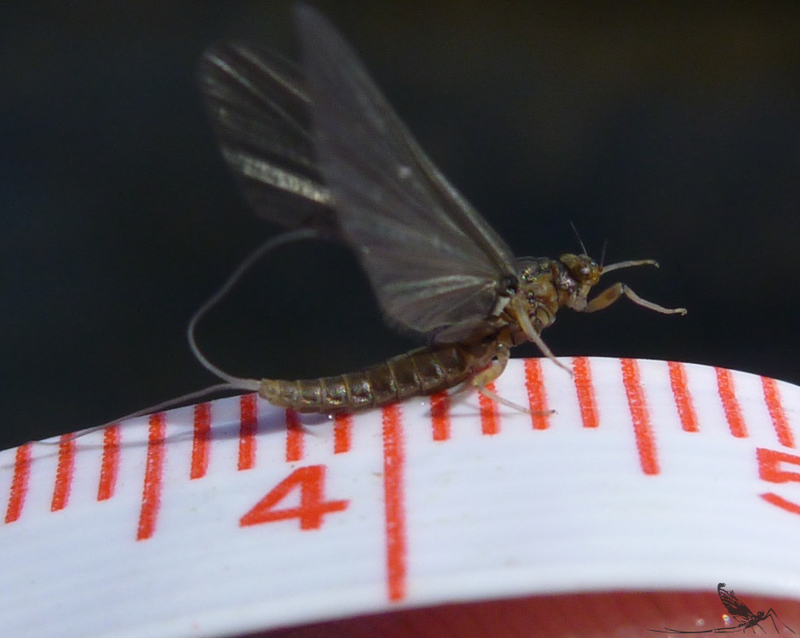 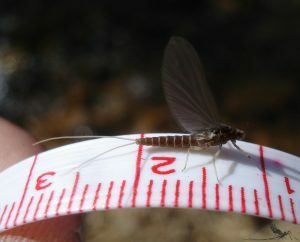 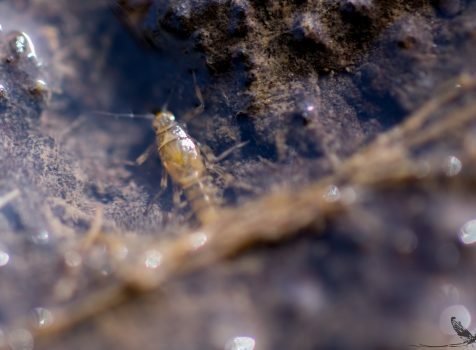 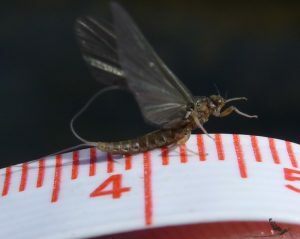 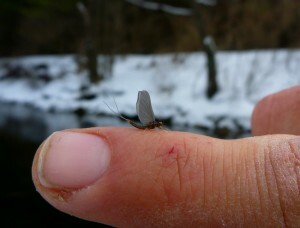 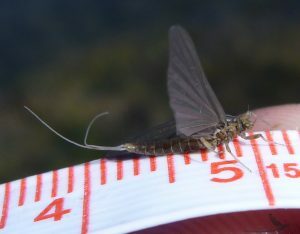 Minnesota is one of the first hatching mayflies in the spring and is one of the last in the fall. 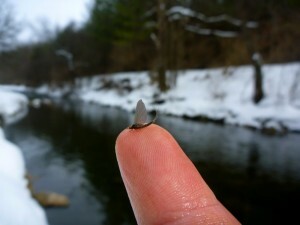 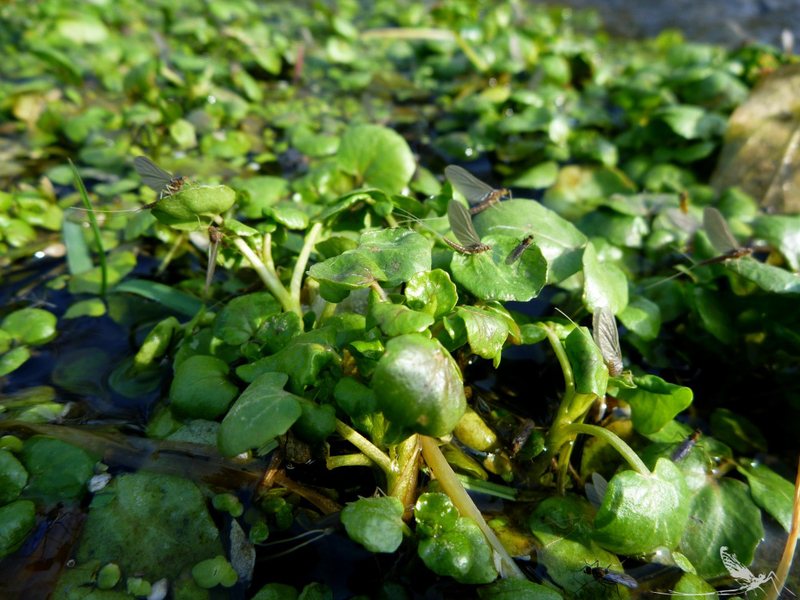 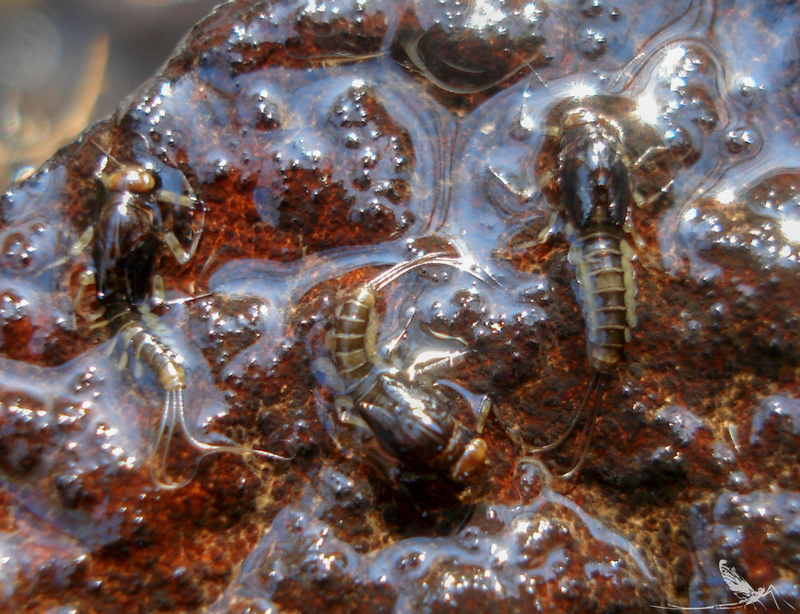 They have even been known to hatch in February on certain streams. We have two main sub-species of Baetis in our waters, Baetis tricaudatus (#16-20) and Baetis flavistrga (#20-22). 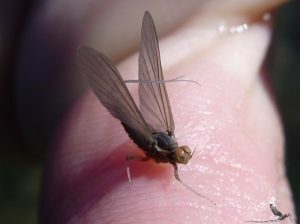 When the water temp begins to rise into the mid-fourties (45°F) look for hatching to begin, rainy days or days with cloud cover that keep the water temp from rising too quickly can produce the best prolonged emergence of this fly. 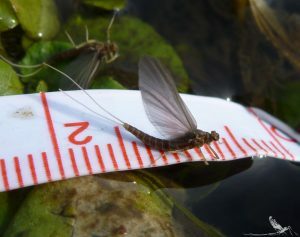 Take note of the below images which show the difference between an immature nymph and a more mature nymph with the potential to hatch. 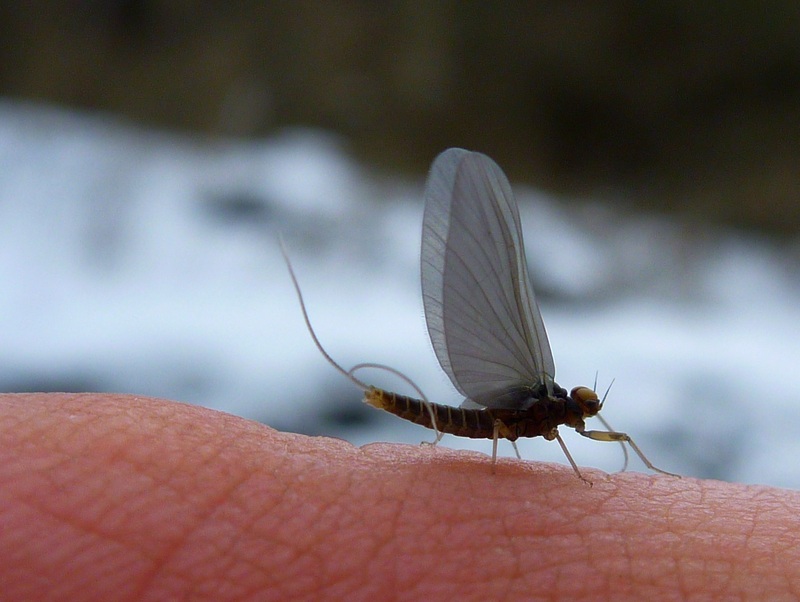 In general this is going to be one of the larger emergences in the area and you should be able to find signs of this hatch on streams that have plenty of rocky substrate in the riffles. 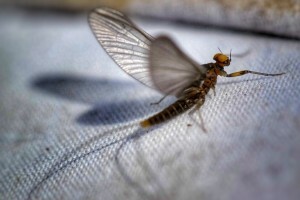 Fish a #16-18 Pheasant Tail Nymph, Skinny Nelson, or Flashback Nymph before emergences and try emerger patterns trailing your dry fly. 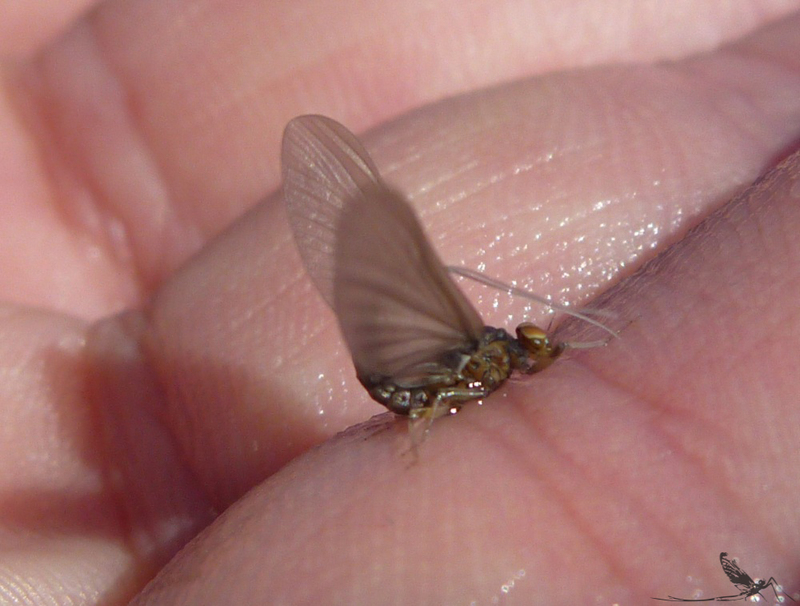 Dry fly patterns include the BWO Sparkle Dun, Parachute Sparkle Dun, and a BWO Hackled Dry Fly. 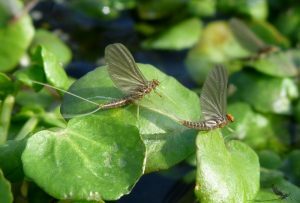 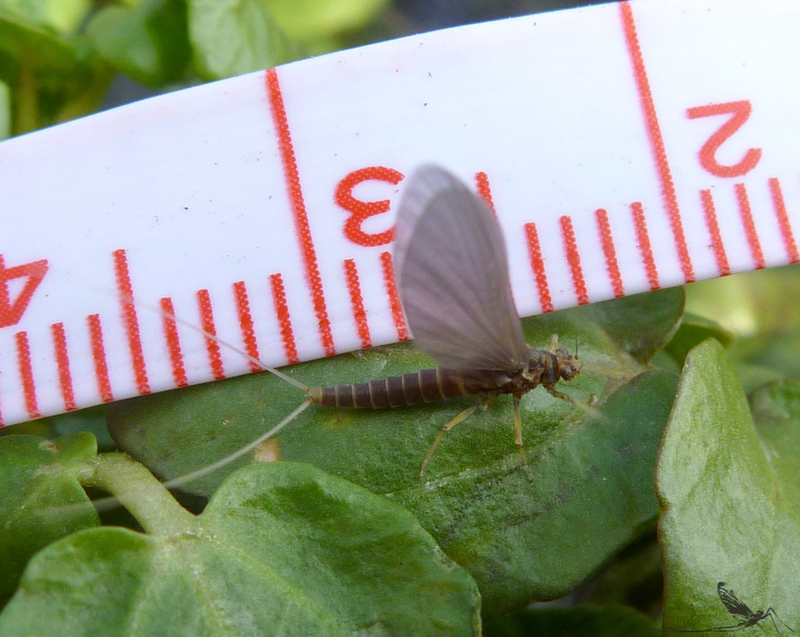 Mature BWO Nymphs: Note the dark wing buds.